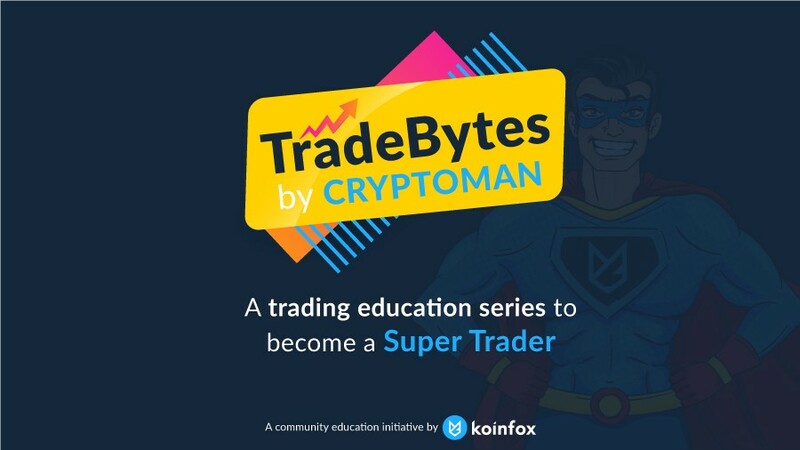 Introducing #TradeBytes — A Trader Education Series by #CryptoMan. Introducing #TradeBytes — A Trader Education Series by #CryptoMan. These Trade Bytes enable you to make better trading decisions. Lot of people while trading get emotional by either getting attached to a specific pair or by trying to beat the market all the time. This is a strong sign of you losing further. Trading is a profession of relaxed mind and patience. Investments and Trading Portfolios should never be mixed. People who keep a common pool of Assets for investment & trading are at a greater risk. This will expose your investment to the risk of loss by mixing it with trading. Always, have defined Short term & Long-term goals & manage your portfolios accordingly. Many People have invested in various digital assets with some brokers, unsolicited wallets, exchanges, friends & third parties. This increases the risk of theft, hacking and mismanagement of your funds. Always own your tokens in your wallet of any type (mobile, hardware, paper, etc.). Always own your private keys. Your assets should be in your control. Keep only those funds on centralised exchanges, which you need to trade frequently. Rest you should keep in a wallet, which you don’t use, everyday. Markets are like a playground. You cannot win everyday. You need to take a break and play with a fresh perspective to win the game every time. This doesn’t mean that you should stop keeping a track of the markets. Just like an athlete, who, irrespective of how strong a player he is, will get into a fatigue mode, if he will be playing daily. Similarly, you need to be conscious of when to trade and when to stay sideways. Trade Byte 005. Filter Information from Noise, before you use it to Trade. Many a times, we try and sneak some quick trade tips from here and there to trade. These may be part of paid shilling. Don’t trade directly, because someone else is mentioning a successful trade. You need to do research about the project/asset before you put your hard earned money on it. Yes, gathering information is important, but filtering noise and shilling out is equally important too.